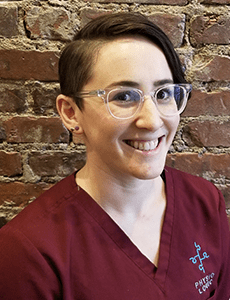 Dr. Allison Heffron, DC, L.Ac. Traditional Chinese Medicine dates back to 600 A.D. and includes the practice of acupuncture. Acupuncture is accepted by the National Institute of Health for a wide variety of medical conditions, including neuromusculoskeletal problems, internal medicine and mental health conditions. 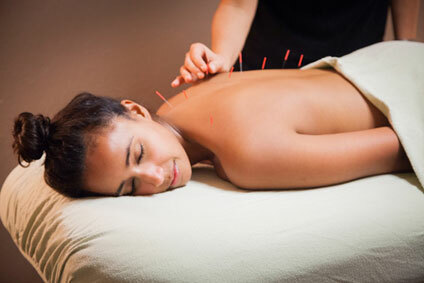 Acupuncture works by stimulating points along the meridian channel system of the body. When thin, sterilized needles are inserted into these acupuncture points, they help correct the flow of energy, Chi or Qi, to restore health. By easing pressure on these energy-carrying channels, the needles correct the body’s Qi imbalances by allowing energy to flow more freely. Meridian points also coincide with major nerve centers. The needles stimulate the nerves, causing them to release feel-good chemicals known as endorphins. People in pain often have low levels of endorphins and a release of those endorphins can suppress the sensation of pain. The points are also located near trigger points, spots on the body where pain radiates away from the center when pressed. Acupuncture may ease the stress on trigger points thereby lessening pain in that area. Research studies consistently show that acupuncture can be an effective form of pain management, with some studies finding it even more effective than pain-relieving drugs or surgery. At Physio Logic, acupuncture may be used initially during the acute phase to decrease pain in preparation for, or in addition to, physical therapy or chiropractic care. In the case of pain management, for example tendinopathies, acupuncture to the affected area increases blood flow, oxygenation and nutrient supply in order to aid tissue repair within an injured tendon. It has none of the side effects of pharmaceutical drugs or surgery, and is often equally or more effective, especially when used in conjunction with other forms of body work. Copyright ©2016 Physio Logic. All rights reserved.